Tulane Campus Health took the American College Health Association’s Healthy Campus Pledge and is considered a Healthy Campus 2020 Partner. This pledge demonstrates a campus’ commitment toward achieving the Healthy Campus 2020 goals and objectives, and Tulane University has joined a growing group of diverse, motivated institutions and organizations working every day to move campuses across our nation toward better health including many of our peer institutions. 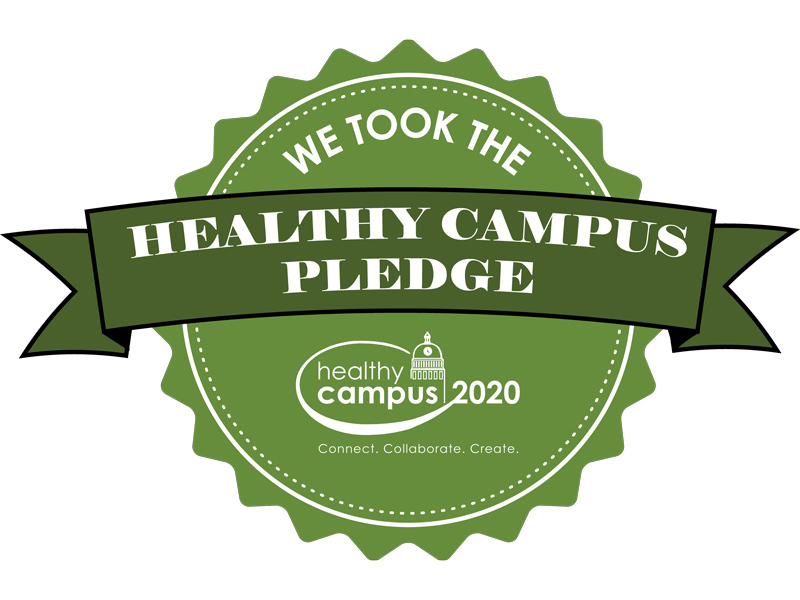 Healthy Campus 2020 is the companion framework to Healthy People 2020, the federal government’s health promotion and disease prevention initiative for achieving better health across the United States. Healthy Campus 2020 provides a framework for improving the overall health status on campuses nationwide. Strategies extend beyond traditional interventions of education, diagnosis, treatment, and health care at clinical levels and involve embedding health into all aspects of campus culture, across the administration, operations and academics. While no two Healthy Campus initiatives are exactly alike, most include a network of people working toward a common vision, priority health needs of your community, a plan with clearly defined strategies and action steps, community- and individual-focused interventions, and tracking progress. For more information about Healthy Campus 2020, please visit www.acha.org/healthycampus. Becoming a Healthy Campus Partner reflects Tulane Campus Health’s commitment to health and well-being while joining the national movement to create healthier campuses. Tulane Campus Health has been working on Healthy Campus goals and objectives since 2009. Since that time, they have published every other year a Health Report Card that demonstrates how collected data compares to peer institutions. That data has supported new and updated tobacco and alcohol policies, grant applications, exposure of health promotion, and increased access to health care through the expansion of medical and counseling services to students.